How will our increasingly digital civilization persist beyond our lifetimes? Audio and videotapes demagnetize; CDs delaminate; Internet art links to websites that no longer exist; Amiga software doesn't run on iMacs. 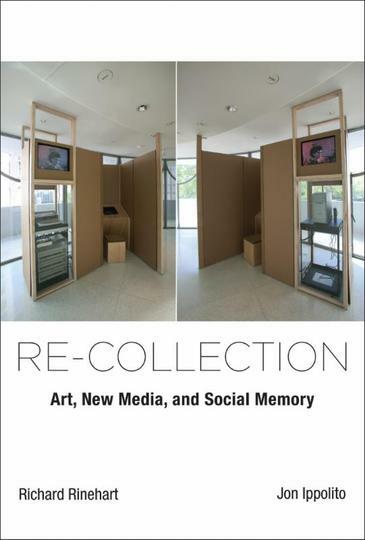 In Re-collection, Richard Rinehart and Jon Ippolito argue that the vulnerability of new media art illustrates a larger crisis for social memory. They describe a variable media approach to rescuing new media, distributed across producers and consumers who can choose appropriate strategies for each endangered artwork and give us all a fighting chance of writing the history of now. Richard Rinehart is Director and Chief Curator of the Samek Art Museum at Bucknell University. He has served as Digital Media Director & Adjunct Curator at the UC Berkeley Art Museum and as curator at New Langton Arts and for the San Jose Arts Commission. He has lead NEA and NEH-funded national research projects on new media, art, preservation, and museums. This event was held in conjunction with Bridgette Mayer Gallery's group photography exhibition "Experience of Place." In addition, the Vault Room featured works by digital artist Ken Goldberg. Ken Goldberg, Sanjay Krishnan, and Yiming Jen's piece "Wow and Flutter" explores how ground motion along the Hayward Fault in California is detected by a seismograph and transmitted continuously to mobile devices to generate evolving dynamic color fields. A new sculpture by Goldberg and Stephen Antonson entitled "Body in White" - a Plaster of Paris rendering of the now-classic PUMA industrial robot which was used extensively for research and automotive manufacturing - explores the concept of the handcrafted versus the computer generated.